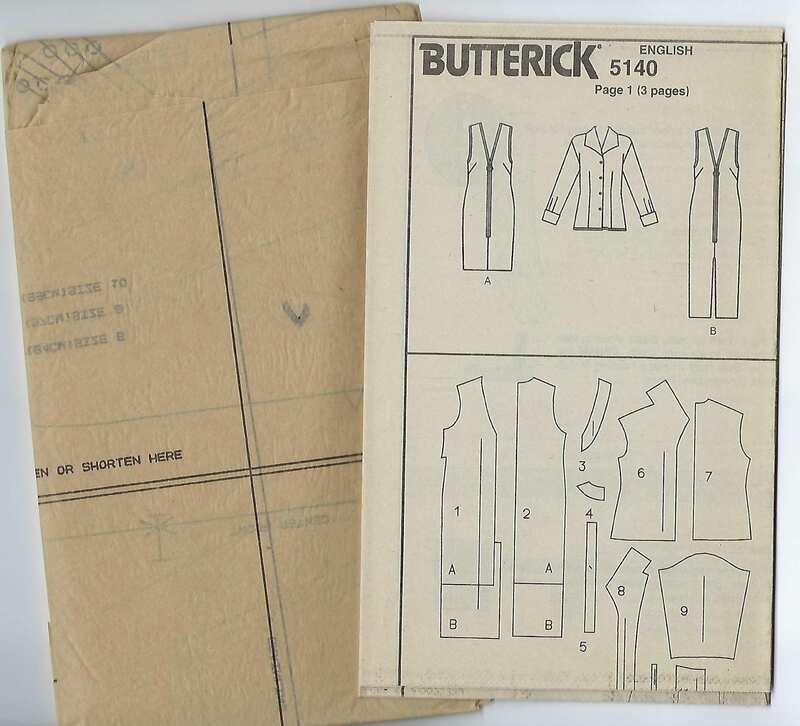 Package includes patterns and instructions to make MISSES Jumper & Blouse. 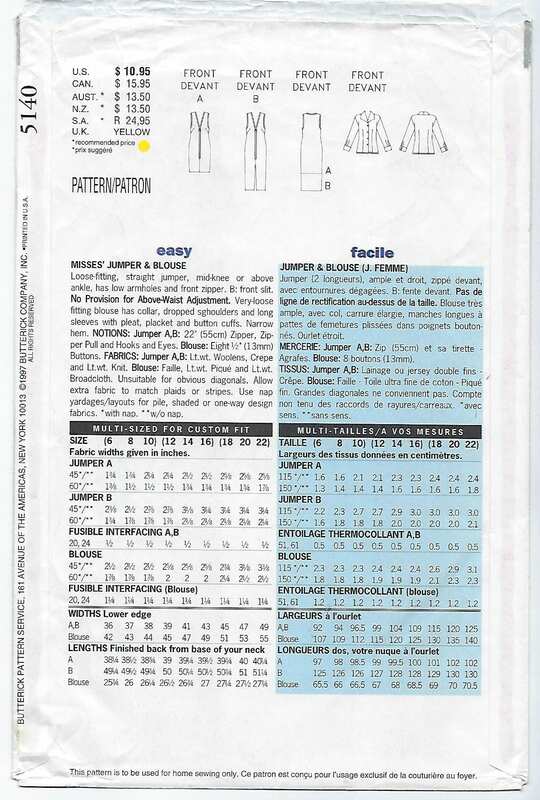 Loose-fitting, straight jumper, mid-knee or above ankle, has low armholes and front zipper. B: front slit. No Provision for Above-Waist Adjustment. 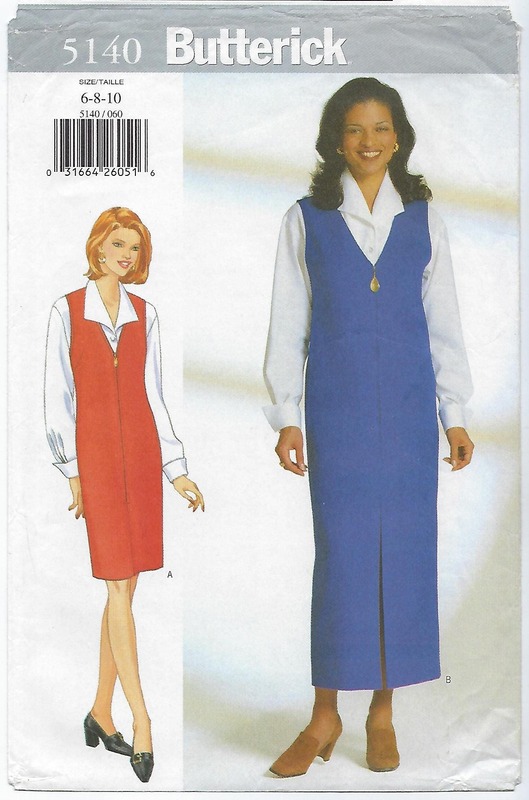 Very-loose fitting blouse has collar, dropped shoulders and long sleeves with pleat, placket and button cuffs. Narrow hem.